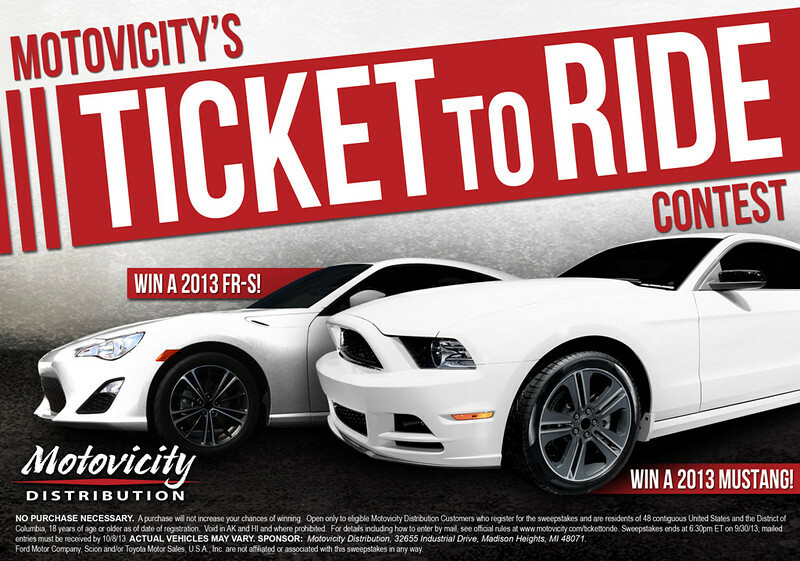 Motovicity Distribution, a leading performance aftermarket auto parts distributor, announced today the launch of their “Ticket to Ride Promotion,” which will give away a 2013 Scion FR-S and 2013 Ford Mustang with an assortment of performance products along with each of the cars. Winners of the project cars will then document the installation of the supplied performance parts, as well as document before and after performance tests. The promotion runs through Sept. 30, 2013, and is open to all current and future Motovicity customers. Because Motovicity is a wholesale-only distributor, only registered performance parts retailers and participating speed shops are eligible to participate. Winners will be selected from a random ticket drawing in early October. “This is an opportunity for people to see in real-life, how well these parts perform and what’s involved with installing and setting them up on to specific types of vehicles,” Said Brian Lounsberry, Motovicity vice president of sales and marketing. 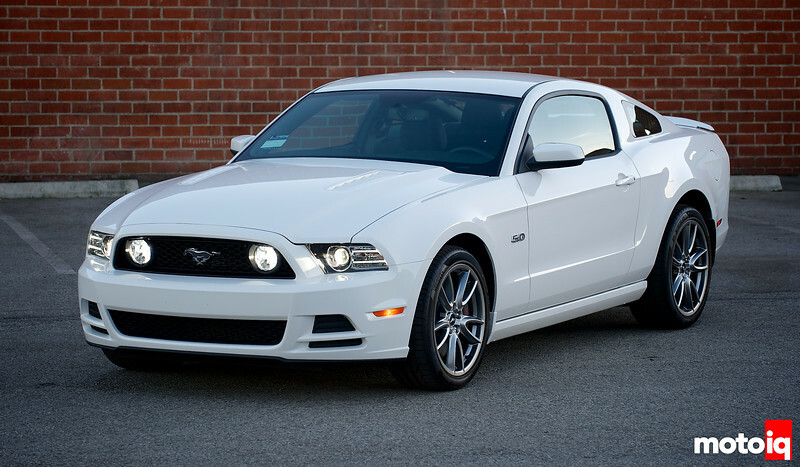 Once the winners have received their prize vehicles, the builds will begin. Motovicity and MotoIQ will provide regular updates on the progress of the installations, and the final project cars will be performance tested by a professional racecar driver on a closed track to analyze the performance gains. “The winning teams not only get a brand-new project car and some of the best performance parts in the world for free, they get to show-off their talents and mechanical capabilities to a national audience,” said Brett Kinsfather, Motovicity marketing manager. Among the participating companies: Vibrant Performance, Exedy, StopTech, Royal Purple, Sparco and Gates Racing are supporting both project builds. 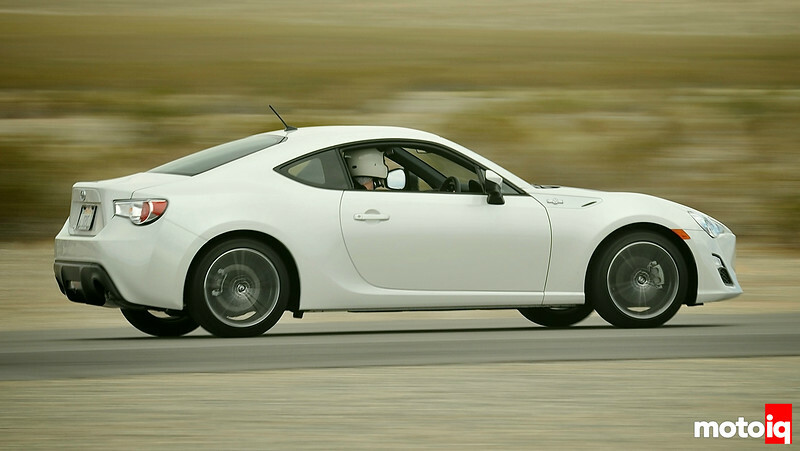 AEM Electronics, Eibach and Energy Suspension are supporting the Scion FR-S build, and KW, Whiteline, BBK and STACK are supporting the Mustang build. “We are really happy to participate in this program with Motovicity. It demonstrates they put a premium on knowledge and performance of the industry, as well as demonstrating products as a way to bring added-value to their customers,” said Albert Reda, sales manager, Vibrant Performance. For more information on the sweepstakes, contest rules or to register, go to www.motovicity.com/tickettoride or call Motovicity at 888-SPEED-16. Motovicity is a performance automotive parts distributor offering a wide selection of parts from the leading aftermarket performance brands, in-stock, and ready for same-day shipping. As a dealer-only distributor, Motovicity has hands-on performance experts and value-added service, which is why more engine tuners & speed shops choose Motovicity as their performance partner.